Combine the first six ingredients in a bowl. 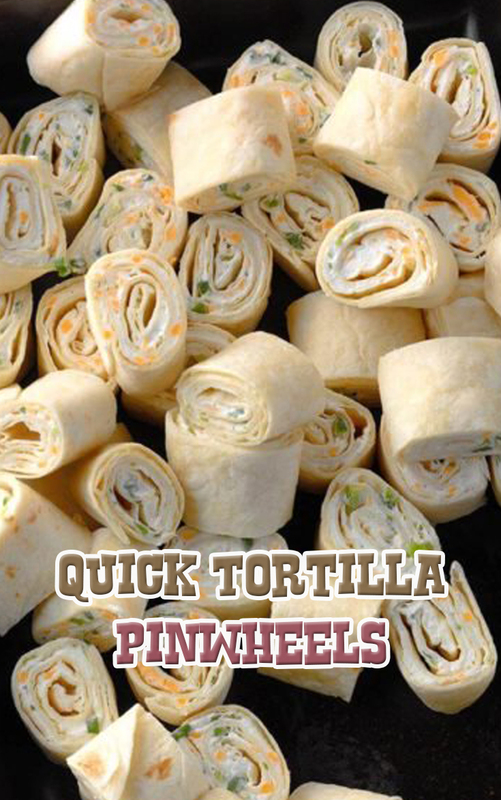 Spread on one side of tortillas and roll up tightly. Wrap and refrigerate for at least 1 hour. Slice into 1-in. pieces. Serve with salsa or picante sauce.